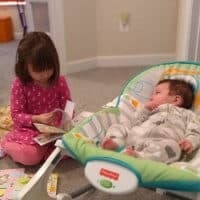 Following baby wonder weeks? Find out what the wonder weeks grey period is. Also find a complete wonder weeks chart at the end of this post! Each leap, wonder week, title, and the abilities are outlined! Something I wish I had done all along was track our progress through each wonder week. It is definitely in the plans to do so going forward. 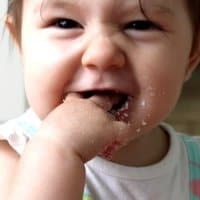 I find it fascinating that these developmental milestones are so predictable and seem to have been spot on for Caroline! We read the Wonder Weeks book before we reach every leap, so we are prepared and know what to expect. I also downloaded the app for the short and sweet version of what’s going on right now. The app has this amazing chart that gives you a visual as to where your baby is in relationship to these leaps. The first was Caroline based on her due date. The second was Caroline based on her birth date. I track both just in case. For us, her birth date has been spot on with hitting these milestones, so this is now the one that we focus on when looking at the chart. I wrote my first post about Leaps and Wonder Weeks when Caroline was in leap 5. This was the first leap that we really noticed a significant increase in her fussiness. With the other leaps, we would see that she was checking off the boxes, learning the skills that each particular leap would bring, but it never really impacted her all that much with regards to her temperament and behavior. We could tell that she was learning, and she would be a bit fussier than normal, or perhaps a bit more exhausted, etc., but never anything very dramatic. So… the wonder weeks and the grey period. What is it? You’ll notice that around week 28.5-30.5 there is a grey period listed in the chart. It is not officially referred to as a wonder week or a leap, but it is highlighted on the chart. The book does not explain what the grey period is (as far as I can find anyway). 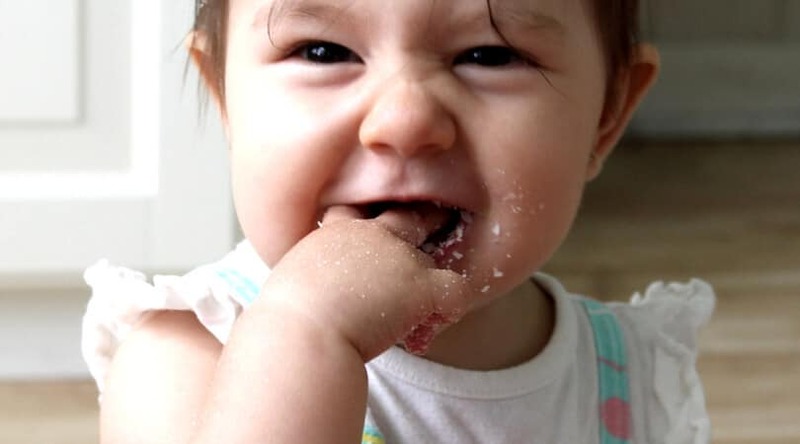 “Fussy and irritable behavior at around 29 or 30 weeks is not a telltale sign of another leap. Your baby has simply discovered that his/her mommy can walk away and leave him/her behind. Funny as it may sound, this is progress. It is a new skill: your baby is learning about distances”. During leap 5, we saw an obvious reaction from Caroline when we would put her to bed and walk away. She was very aware of the fact that we were leaving and no longer by her side. She resisted putting herself to sleep as a result. During the grey period, the concept of not wanting Mama to be far away was up front and center. Caroline didn’t want me out of her sight, and she didn’t want me focused on anything but her. There was a solid week or so that I couldn’t even cook dinner. I would bring her with me into the kitchen, set her down, and she would just start crying and screaming immediately. She wanted me focused on her and holding her. She also decided that she wanted to change her schedule during this period. I think part of this stemmed from not wanting to be away from Mama. As the day went on, she would get more fussy and clingy. This is typical behavior for babies, but it seemed to be magnified during this grey period. The catnap that is in the late afternoon hours (4/4:30 pm) was her fussiest time of day. For a couple of months she had been resisting the catnap, but would eventually give in. During the grey period, however, she flat out refused the catnap. I had to be holding her and she would maybe take a 5 minute snooze, but that was it. She wanted to be up. So, we dropped the catnap (click here to read more about how we did so). She has also had several moments of needing assistance being put to sleep (for both naps and bedtime). She would resist, and since this is abnormal behavior for her, I chose to help soothe her and help her get to sleep. She would snuggle right into me the minute I picked her up. She just wanted Mama snuggles. She would plant her face right in the sweet spot between my shoulder and neck. She would hold on tight, close her eyes and start sucking. She was happy and content- as long as she was in my arms. I got some of THE BEST CUDDLES during this period. Add your experiences to our ongoing survey! Obviously, while these are amazingly sweet moments, it was also a frustrating and difficult time. Not being able to put your baby down to get her food ready, etc., can take its toll on you and be very tiring. It was an exhausting couple of weeks, for sure. Independent playtime was nonexistent, the catnap was now nonexistent, and putting herself to sleep without assistance seemed to be a thing of the past. She started reaching out for Mama during these weeks, and, I swear, she was saying “Ma- Ma” all the time! My heart just melts to see her reach out for me and say Mama. To see her able to express with her body that she wants to be picked up was so amazing. 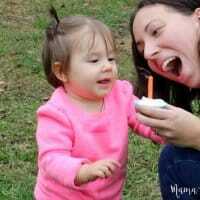 And, obviously hearing her say Mama was pretty awesome as well. Maybe she just added “M” to her vocabulary, and maybe she doesn’t understand or mean to say “Mama” yet, but I’ll take it! So, now that we are through the “grey period”, Caroline is back to having independent playtime. I can walk away from her and get some things done, and she is ok with that. She looks for me and makes sure she knows where I am, but is content even if she can’t see me. She has continued to show me when she wants me by crying out and reaching her arms up. She is back to being able to put herself to sleep (most times), and is still really enjoying cuddle time, but not NEEDING it as often. She gives kisses and hugs, and is growing into such a sweet little girl. So, while I am happy to move out of this grey period due to its challenges, I am also going to miss the extra cuddles that I got while we were in it. Luckily, she is continuing to give cuddles, just not demanding them. 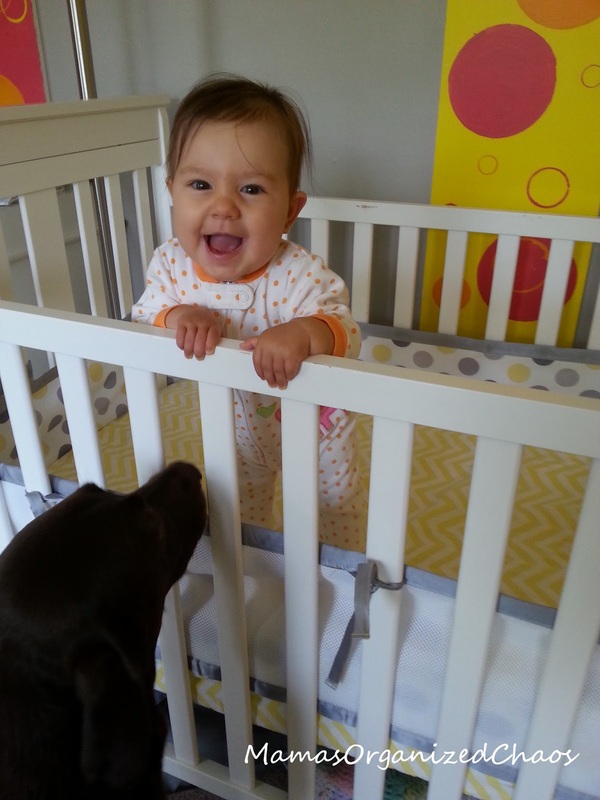 Next on her list of skills to check off is definitely pulling herself up and supported standing. In the past few days (just as we finished the grey period), she’s shown more of an interest in standing. She is not pulling herself up yet, but if I stand her up she is now able to hold on and stand on her own for several minutes! She is also extremely interested in inspecting Mama, Daddy, and the dogs. She pulls at our ears, in particular right now (the dogs’ ears included). Leap 6, here we come! I can’t wait to see what it brings! Find all of our posts on leaps, wonder weeks, and milestones at this link! The Wonder Weeks Book and app were referenced when making this table. See our children's progression through each of the wonder weeks and leaps. 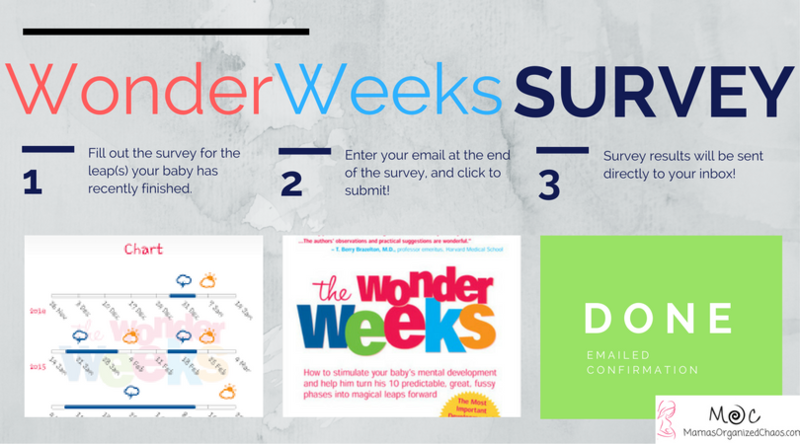 Wonder Week 5 is actually the first wonder week. 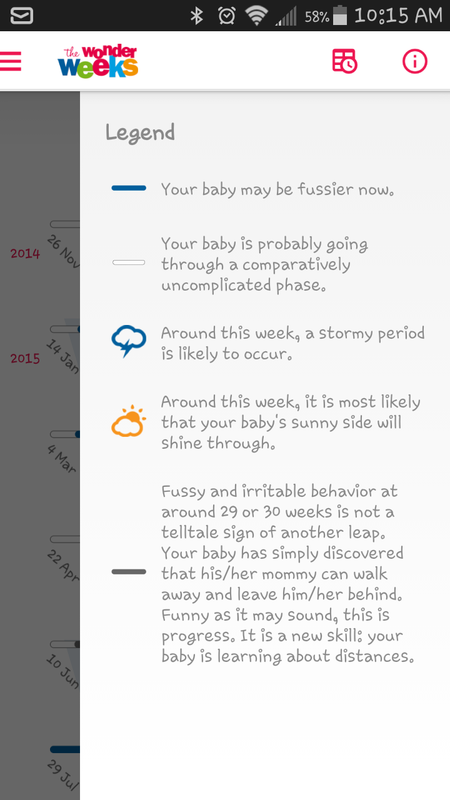 Wonder weeks are labeled by the week that they happen during your baby’s life. 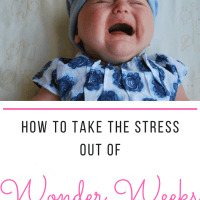 The first leap, or first wonder week, happens during week 5 of your baby’s life. So, it is called wonder week 5. Specifically, leap 1 (wonder week 5) is referred to as “Wonder Week 5: The World of Changing Sensations”. The second wonder week, is called “Wonder Week 8”. It occurs sometime around the 8 week mark for your baby. Since it is the second wonder week, it is referred to as “Leap 2”. This leap is “The World of Patterns”. 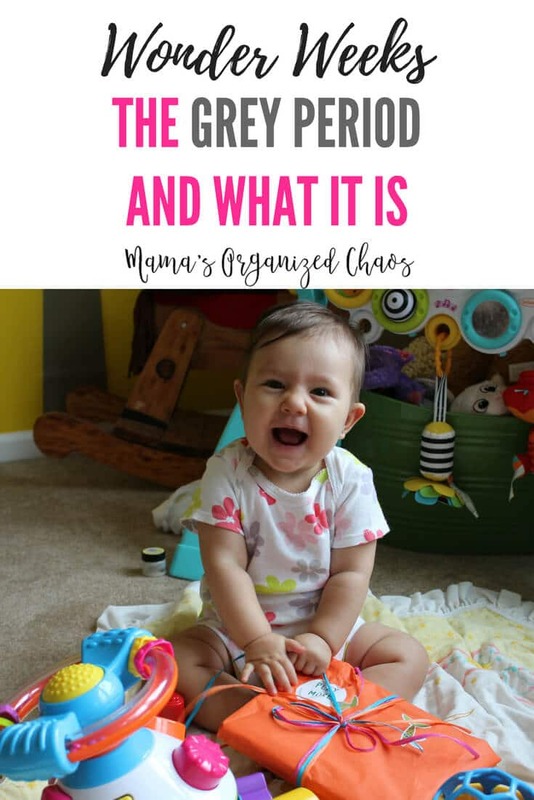 Baby Wonder Weeks - What is the Grey Period? 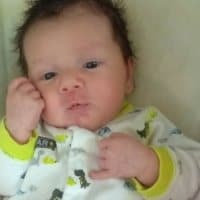 Following baby wonder weeks? Find out what the wonder weeks grey period is. Also find a complete wonder weeks chart at the end of this post! Each leap, wonder week, title, and the abilities are outlined! 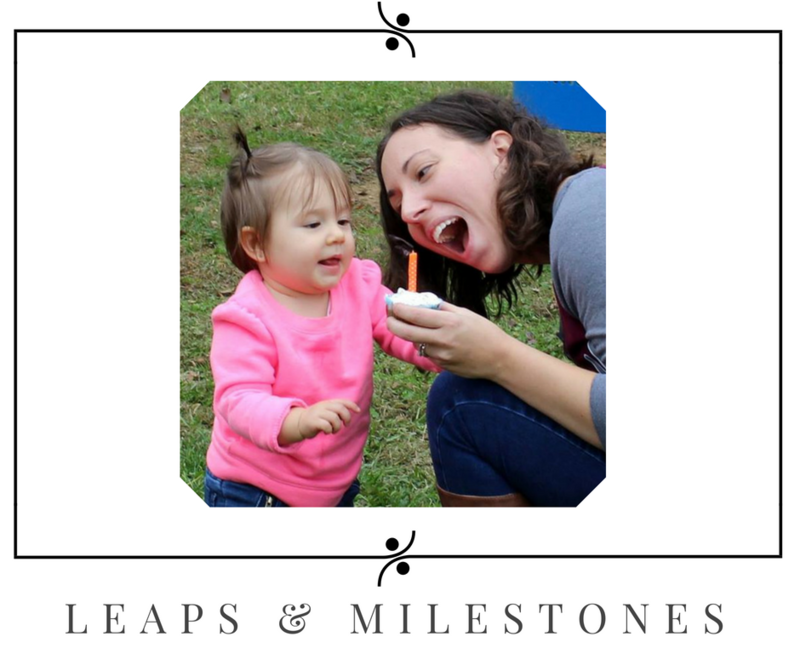 Find links to all posts about leaps, wonder weeks and developmental milestones on this page. 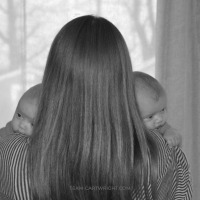 Everything you need to know about wonder weeks and twins! 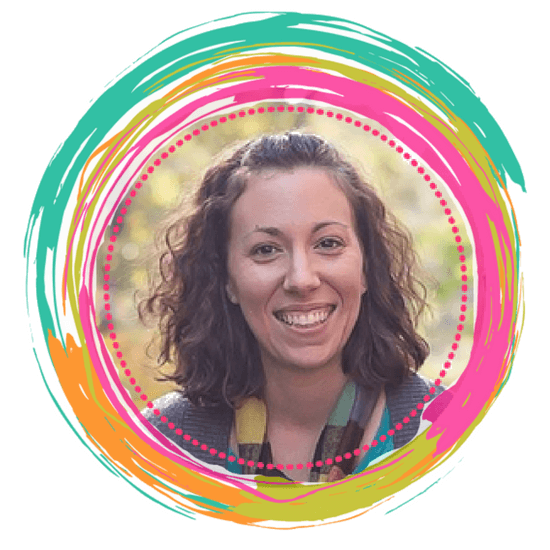 Knowing about these fussy periods can cause stress... here's how to use the wonder weeks without the stress.